Police say the shooting started as an argument in the bar that moved outside to the parking lot. Witnesses fled before police could question them. 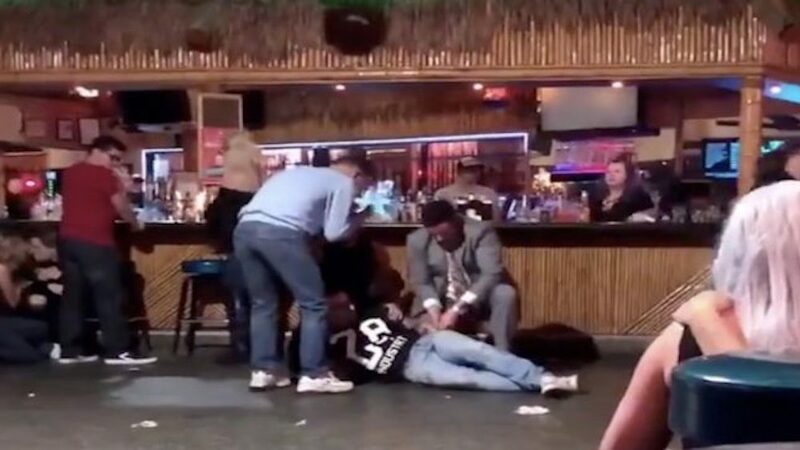 The shooting is somewhat similar to an October 2018 San Antonio incident in which a shooter injured three people, allegedly after being kicked out of the Pegasus gay bar. Two men and one woman sustained non-life threatening injuries in that shooting. Doesn’t a “Latinx man” equal a Latino? Latinx is a gender-neutral term, but it is modifying “man,” which is not. The definition is – a person of Latin American origin or descent (used as a gender-neutral or nonbinary alternative to Latino or Latina). You’d think the bar would have some video surveillance which is pretty much standard these days. Why would you think it didn’t have security cameras? It probably does but not everywhere, usually the front entrance and maybe where the cash is kept. That said, the police never release all the details of any crime. This information may be withheld for very specific reasons like they have an identification and they are looking for him/her but they do not want him to suspect this is the case.